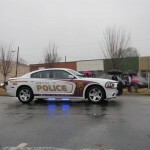 The Ninety Six Police Department is located on Main Street, just north of the Square, and actively serves the community. They are available 24 hours a day. To pay fines or tickets, please go the Clerk of Court page. 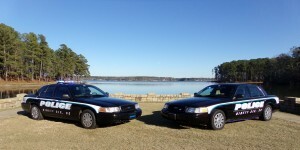 The vehicle pictured above is utilized by the Ninety Six Police Department SRO (School Resource Officer). This officer is a part of a joint effort by school districts and police departments statewide & nationwide to provide a safe outreach for students and their parents. The School Resource Officer post is at Ninety Six High School. He works directly with teachers and students to develop a strong community relationship as well as providing a positive foundation and guidance for the entire student body. The SRO program combines the goals & outreach of the SRO, School Administrators, Teachers, School Board Members, Community Leaders, and PTOs; as well as educational programs such as Drug Awareness programs.